Warner Bros. Television is teaming up with The Paley Center for Media to take the TV out of the box, inviting all to peer inside with the new interactive, multimedia museum exhibit. Highlights include iconic series ranging from The Bugs Bunny Show to The Big Bang Theory, Kung Fu to The Closer, Murphy Brown to The Mentalist…and more. Have you ever wanted to see the alien head from V up close, or Tony Soprano’s robe? How about Daisy Duke’s actual “Daisy Dukes”? Now’s your chance! 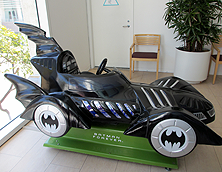 Warner Bros. Television is teaming up with The Paley Center for Media to take the TV out of the box, inviting all to peer inside with the new interactive, multimedia museum exhibit, Television: Out of the Box, which runs until July 31, 2014. Celebrating nearly sixty years of iconic programming, the exhibit features props, costumes, original animation art, patent filings and much more from over sixty series ranging from Alice to The West Wing. 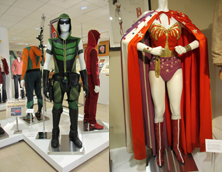 Patrons can view costumes from series like Babylon 5 and Smallville, see classic Hanna-Barbera toys from the 1950s and ’60s, and read suggestions on the Roots script from author Alex Haley to producer Stan Margulies. 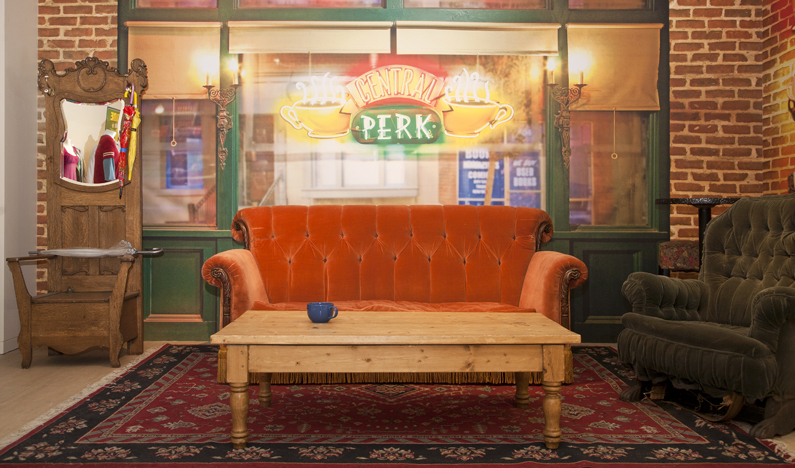 Fans looking for a more interactive experience can have their photo taken in a “walk-in cel,” where they can be photographed with Bugs Bunny and Daffy Duck, or in front of a replica of the Central Perk set from Friends or an iconic Monk’s Diner booth from Seinfeld. With nearly sixty years in television, Warner Bros. is no “Perfect Stranger” to the medium…and there’s a lot of history to share. • A tribute to comedy hitmaker Chuck Lorre: The Big Bang Theory, Mike & Molly, and Two and a Half Men. • Lorimar Television, acquired by Warner Bros. in 1989, is represented by a number of iconic series ranging from the original Dallas to Full House, Knots Landing and The Waltons, among many others. • A trip into the supernatural, with an installation focusing on sci-fi and otherworldy series such as Babylon 5, Fringe, Supernatural, V, and The Vampire Diaries. • The Theme Song Theater, where visitors can watch clips from and sing along to memorable opening tunes from iconic series, including Friends; The Dukes of Hazzard; Welcome Back, Kotter; Gilligan’s Island; and more. • David L. Wolper's blockbuster Roots and the Wolper-produced miniseries The Thorn Birds are featured, as well as the comedy series Chico and the Man and Welcome Back, Kotter. 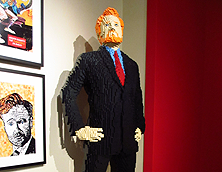 • A neighborhood installation focusing on series such as George Lopez, The Drew Carey Show, Gilmore Girls, Gossip Girl, The O.C., and more. • A booth from the iconic Monk’s Diner set of the long-running hit sitcom Seinfeld, as well as a recreation of the Central Perk coffee shop set from Friends. 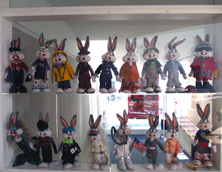 • A look at the company’s rich history in television animation—including series from the Looney Tunes, Hanna-Barbera, and DC Entertainment collections—as well as a walk-in animation cell, in which visitors can interact with their favorite animated characters. • A look at Warner Bros. Television’s early years in an installation devoted to the company’s first forays into series production, with titles such as Maverick, Kung Fu, Cheyenne, Wonder Woman, and 77 Sunset Strip, among many others. • An exhibit recognizing Warner Bros.’ Time Warner sister company, HBO, with The Sopranos; Band of Brothers; Entourage; True Blood; The Wire, and Deadwood. • A survey of the studio’s standout crime dramas, such as The Closer, Cold Case, The Mentalist and Without a Trace, among others. Paley Center Loves Warner Bros. 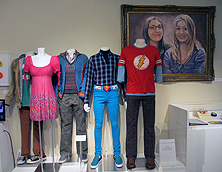 The Paley Center for Media has welcomed many of the stars and creators of series featured in this exhibit to its stages in Los Angeles and New York.